The American Psychiatric Association recently came to the conclusion that the act of taking a selfie is a Mental disturbance. I learned of this while perusing on Facebook, looking through what I must admit was a numerous amount of selfies in my feed, and this article came up. Chronic selfitis, this is where maybe it seems to get a bit more serious, is the uncontrollable, compulsive urge to constantly document life through selfies and posting those images to social media six or more times a day. Uh oh. I think I may know some folks with selfitis! PSYCH! 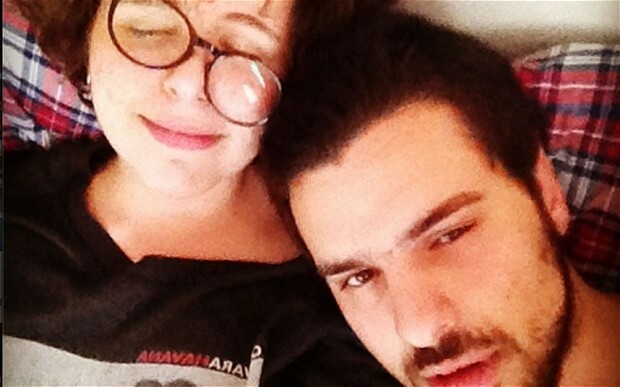 It’s not a real disorder, once again the Internet has bamboozled a number of selfie posters. I had you going for a second – but the fact that so many have taken up this story on social media made me wonder: What is it about the spaces we cultivate online that make it seem so important to have our presence known? What is it about the selfie that entices us? What is it that draws us in? Is there another space that we cultivate in which we can say, “Hey look at me while I make a kissy face?” The selfie is a widely recognized social phenomena and an activity many of us can relate to, but when did it become commonplace to take pictures of ourselves and broadcast them to the world? And when did this become such an important social act that many websites provide tutorials for the best selfie angle, or something as trivial and tiresome as how to take a perfect selfie from behind, and celebrities have even gone so far as to try and use their selfies with no make up to foster cancer awareness (though to mixed reviews). What is it about our present moment and the spaces we inhabit and cultivate online that allow for this specific form of expression to take hold? What is it about this experience that fosters ritual? What does it mean to us to post? Sherry Turkle in a New York Times article titled “The Documented Life”notes that previously the sensibility that drove mobile technology and new media was the notion of sharing. “I share therefore I am” is how she describes it, and that notion is not gone – not in the least, but it is now, Turkle argues, coupled with the desire to have, to possess, to document those very experiences we desire to share. Turkle highlights the way a selfie does just this for us, “A selfie, like any photograph, interrupts experience to mark the moment. In this, it shares something with all the other ways we break up our day” and in doing so, Turkle argues that technology has a profound effect. Technology changes us, technology shifts the very fabric of who we are. 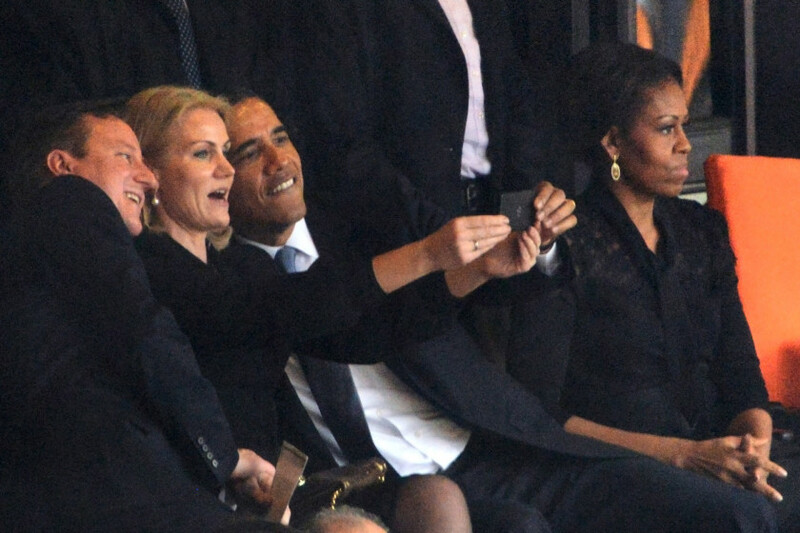 So prevalent are these notions of being recognized that President Obama himself is seen taking a selfie at the funeral of South African president and Icon Nelson Mandela. Even those of us with resources, power and wealth stop to mark special moments and to participate in the public ritual of commemoration that takes place online. No moment is too sacred to commemorate, there is no physical space that is off limits for the construction of our online selves. Without becoming technologically deterministic I want to acknowledge that there is something unique and interesting at play in online social media spaces. Through our ritual, habitual interactions with these sites we produce new meanings, enhance existing meanings, or perform parts of ourselves that can only exist in this as if space. It is not just me posting my image to my network. In posting these spaces, in entering a space that straddles the various intersections of who I am, I become someone, I am known, I am recognized. Nick Couldry, in his book Why Voice Matters notes that individuals are compelled to give accounts of themselves and that in fact, voice as a process of giving that account “is an irreducible part of what it means to be human.” It is in finding venues to express voice, such as the Internet, and providing spaces of mutual awareness of new voices, such as social media, we see recognition emerge. To be recognized is more than just being made visible, it is being acknowledged and knowing that in acknowledging other voices, your voice is acknowledged as well. It is the notion of choosing to make others legible, and becoming so yourself in that process. Beyond expressions of voice and recognition, there’s something to be said about the ritual aspect of posting a selfie to what has now become the familiar space of Facebook or Twitter and knowing you can expect a certain type of response or at the very least a number of fairly constructed and commonplace responses. This venture into the familiar is somehow safer than the spaces we frequent publicly or in our offline lives in that they are a step removed and yet completely and unabashedly in your face. These spaces allow us to perform an aspect, or many aspects, of our cultural life online. These spaces are not extra to or an extension of the offline world, rather they intermingle with the various identities and positionalities we inhabit and perform in each of our varied roles and allow us to explore those identities further. 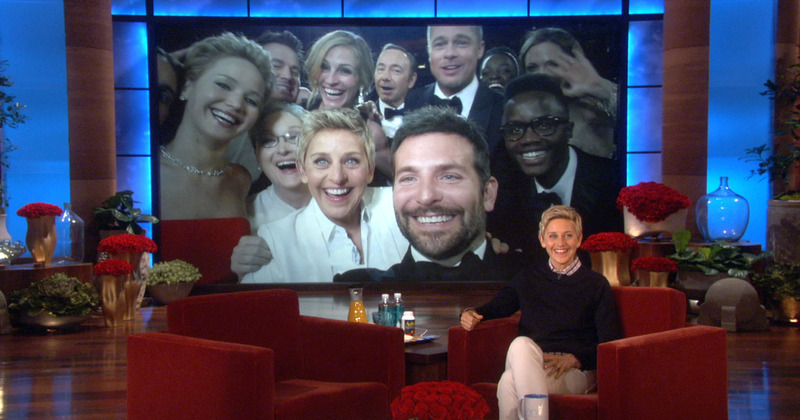 Whether it is Ellen DeGeneres wishing to explore the Oscars as a venue to be like the common man and take selfies and eat pizza with movies stars, or couples taking selfies post coital and posting them to Instagram with the hashtag #aftersex, these selfies enable users to examine a part of our identities that perhaps we don’t get to share offline. Or, if we can share it, we may choose to do so following an entire different set of conventions. There is something quite mundane about it, but also something remarkable in it too. I can post the same Zoolanderesque puckered lip expression selfie in a great many venues and know with relative confidence that I will be met with likes and comments cementing the notion that the expression of my identity in those photos is acceptable and maybe even desirable. What is remarkable is the fact that, while perhaps not as negative as the conjured up disorder selfitis, on a deeper level the posting of a selfie has to do with a desire for meaning, community, acceptance or whatever we might choose to term the opposite of feeling loneliness. Perhaps in posting my selfies I see something new about myself, expose a tiny little part of myself, or perform a facet of my identity. And perhaps, in liking it, retweeting it, or even looking at it you recognize the same in yourself.